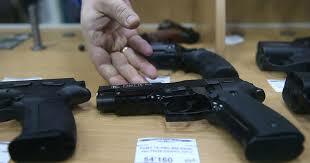 The bill has a section purporting to bar creation of a national firearms registry. However, the expanded background check system will require the government to compile lists of those buying and selling guns. In other words, it creates a de facto national gun registry. It is no coincidence that the majority of mass shootings take place in "gun-free zones," where shooters know their targets will be unarmed. This shows that any law making it more difficult for Americans to own and carry firearms makes us less safe. If Congress really wanted to reduce the incidence of gun violence, it would repeal the Gun-Free School Zones Act. This law leaves children easy prey for mass shooters by mandating that public schools be "gun-free zones."